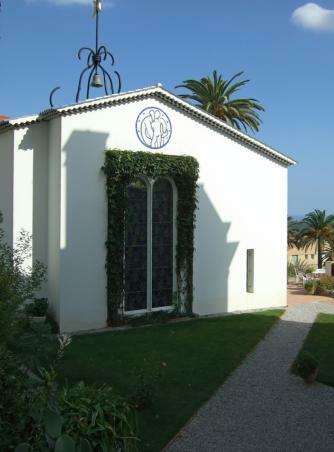 The Chapelle du Rosaire de Vence is a unique building which was designed and constructed by Henri Matisse, as a monument to the gratitude he felt towards his nurse Monique Bourgeois. 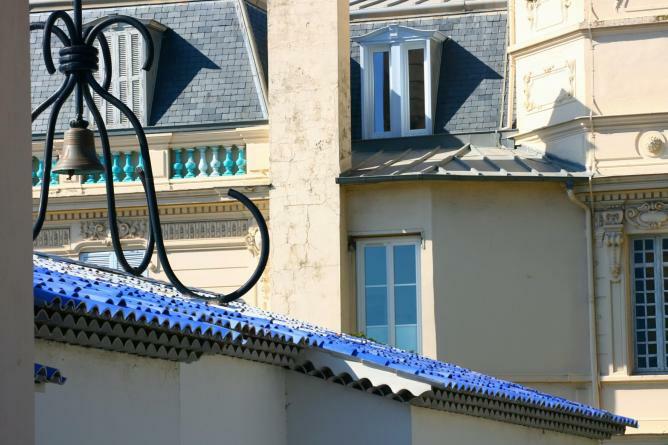 It is a profound space which combines the artistic and the spiritual, and is abiding proof of Matisse’s genius. From the years 1948 to 1951, legendary French artist Henri Matisse worked tirelessly on plans for the Chapelle du Rosaire de Vence, (the Chapel of the Rosary), designing every element if the building, from the exterior to the details of decoration. A culmination of his long artistic trajectory, it was the first time that a painter had entirely designed every detail of a Chapel in such a comprehensive way, and remains a potent manifestation of Matisse’s artistic sensibility in his mature years. Remarking upon the chapel’s completion, Henri Matisse stated that ‘this work required me four years of an exclusive and entiring effort and it is the fruit of my whole working life. In spite of all its imperfections I consider it as my masterpiece.’ Whilst its objectives as a piece of architecture are often compared to Houston’s Rothko Chapel, it is the only building of its kind in which all the intricacies of the building are dictated by one artist’s complete vision. Matisse drew up the plans for the edifice and every detail of the decoration — from the ceramics, stained glass windows, ornaments, and paintings, which Matisse created specifically for the chapel. The white chapel is famed for its stained glass windows that reflect a myriad of exquisite colours onto the white marble floors. 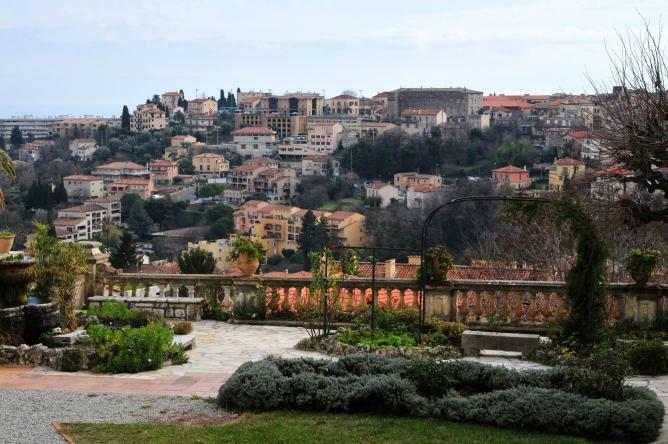 It is undoubtedly the highlight of the beautiful old town of Vence, which lies on a hillside above the city of Nice, nine kilometres from the sea. The history of the chapel and the purpose behind its construction proves that it was a labour of love, rather than a purely religious undertaking. Matisse built the chapel for a nurse who had cared for him during the latter years of his life in which his health was compromised, and this celebration of human relationships is key to the design. In 1941, Matisse developed cancer and underwent extensive surgery, which he almost didn’t survive. The artist lived for most of the year in Nice in the south of France, and during his long recovery there, he sought help from a lady named Monique Bourgeois who responded to his advertisement seeking ‘a young and pretty nurse’. Bourgeois tenderly took care of the ailing Matisse, and took great interest in his work. He has described her as ‘a magnificent person’ and whose devotion he appreciated very much. She became both his carer and model, with several drawings and paintings existing as a testament to their bond. The biggest gift however, was still to come. In 1946, another vocation called for Monique Bourgeois — this young woman entered into the religious order of the Dominicans, and was officially ordained as Sister Jacques-Marie. Having previously qualified as a nurse, she continued to administer care to the painter who eventually bought a home in Vence not far from the convent. In the summer of 1947, Bourgeois confided to Matisse her wish to decorate the oratory fitted out by the nuns in one of the rooms in their convent. But Matisse had bigger ideas and ambitions. He agreed to design a chapel that would be offered to the Dominicans. With the advice of architects Auguste Perret and Milon de Peillon, along with recourse to the skill of the builders and artisans of Vence, Matisse began working solidly on the chapel for the next four years. At the age of seventy-seven and in ill-health, Matisse began the biggest and most challenging work of his entire career. The completed chapel contains three sets of stained glass windows — making use of a colour trio: a vivid green, an intense yellow and a vibrant blue. The two windows beside the altar depict abstract forms synonymous with the hand of Matisse, entitled the ‘The Tree of Life’. On the wall behind the altar is a large image of St. Dominic, founder of the Order of Dominicans. Adorning the side walls are abstract images of flowers and an image of the Madonna and Child, all created in black outlines on white tiles. Rather than the usual image of clasping the child to herself, Matisse chose to show Mary offering her son to the world. 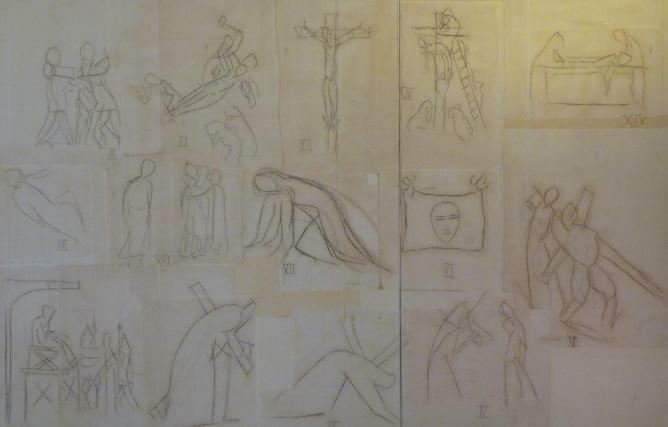 On the back wall of the chapel are the traditional fourteen Stations of the Cross. Usually, the fourteen stations are depicted individually; however, Matisse chose to incorporate all of them on one wall in a single cohesive composition. The vestments within the chapel use the ecclesiastical colours of the religious seasons: black, purple, rose, green and red. There are also two doors carved out of wood designed by Matisse, for the confessionals. The chapel is the conclusion of hundreds of preparatory drawings and endless revisions. Along the hallway to the gift shop, photos and sketches are on display which show Matisse designing the chapel. The exterior of the chapel can only be recognised by its blue and white tiles, and its centrepiece of a wrought iron cross ordained with crescent moons and golden flames, standing at an extraordinary thirteen meters high. In Matisse’s words, he ‘wanted those entering the chapel to feel themselves purified and lightened of their burdens’. The project was not without its opposition. Some of the Dominican Sisters fiercely resisted the work suggesting that they were baffled by the simplicity and abstraction prevalent within the painter’s work. Matisse’s contemporary, Pablo Picasso also declared that he was distressed and upset to see his fellow artist involved within a church project. Henri Matisse was however a staunch atheist who once wrote that ‘my only religion is love of the work to be created, and total sincerity’. He responded to Picasso’s complaints with a simple retort: ‘you are like me…what we both search for in art is the climate of our first communion.’ The Chapel of Our Lady of the Rosary was officially inaugurated on June 25th in 1951, and has been inviting travellers to experience this unique building at the crossroads of art and faith ever since. 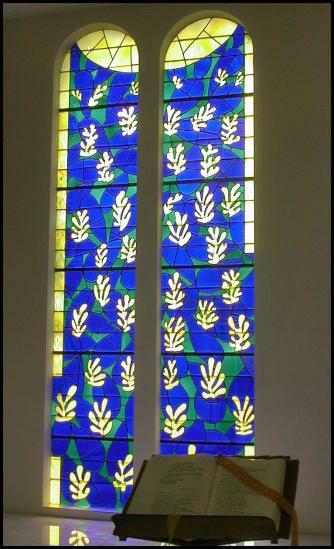 Whilst the chapel was constructed for a religious purpose; the building stands forever as a testament to the enduring care that was shown to Matisse by Monique Bourgeois. During the twilight years of his life, the artist’s relationship with Bourgeois affected him profoundly enough that he was inspired to create a building in her honour. The spiritual space which he envisioned is indeed imbued with the ‘climate of a First Communion’ and a palpable love for the human condition. 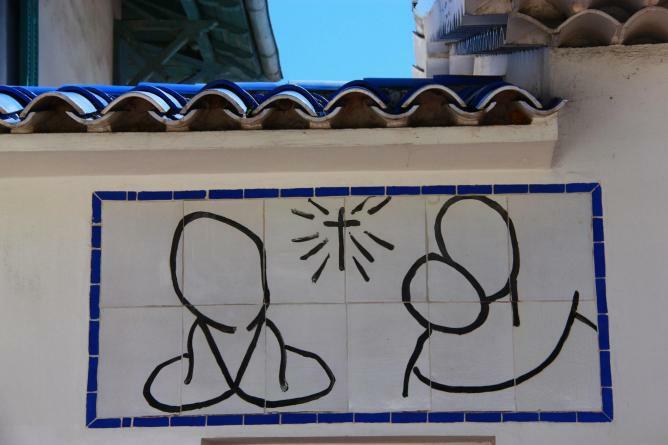 The Rosary Chapel designed by Henri Matisse is located 466 Avenue Henri Matisse in Vence. Tel.04.93.58.03.26. Monday – Wednesday – Saturday 14h – 17h30. Tuesday – Thursday 10am – 11h30 & 14h – 17h30. Mass on Sunday at 10am. Closed from mid-November to mid-December. To plan your visit or for more information, click here.